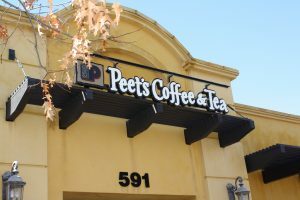 Under rules adopted by the City Council in 2012, new "formula" businesses locating in the Historic District need to meet Use Permit requirements relating to diversity, balance, and community character. Areas outside of the City's Historic District zone are exempt from formula business use permit requirements, unless the proposed business occupies a space of 10,000 square feet or more. The formula business requirements do not apply in the City's four largest shopping centers. In addition, the City's ordinance specifically prohibits new large-scale formula restaurants, defined as having more than 250 existing outlets, from locating in the Sonoma Plaza area (Plaza Retail Overlay Zone). The primary intent of the regulations is to protect, preserve, and retain the local unique and attractive character and charm that Sonoma is internationally know for in its downtown Plaza and historic district. Regardless of whether or not a business is "formula", the City's regular permit requirements and design review process will apply. Other additions restrictions may apply. If you are considering opening a formula business anywhere in the City of Sonoma, you'll want to review a full copy of the ordinance and meet with Planning Department staff at City Hall to learn how the regulations apply to your plans. A formula business is defined as having a "standardized array of services and/or merchandise, employee uniforms, decor, facade design, signage, color scheme, trademark or service mark, name, or similar standardized features; and which causes it to be substantially identical to ten or more other businesses in the U.S." at time of application. The formula definition applies to most retail, restaurant, and personal service uses (such as salons), but not to uses such as offices, hotels, banks, or gas stations. The City's formula business ordinance does not apply to businesses in existence at the time it was adopted in 2012, but may apply if an existing business relocates or expands.